5 Star Drainage Services have been working with commercial and domestic customers for over 15 years, providing a service that is second to none. 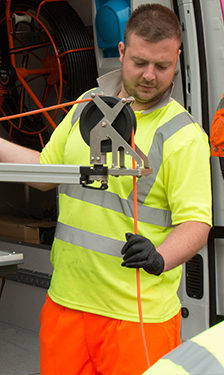 Whether the problem is a simple blockage, a drain collapse or a burst water pipe, we are well placed to provide a fast and competitively priced response. With the very latest drain repair techniques applied across Cambridgeshire, we are able to offer a market leading turnaround on drain failure incidents. Comprehensive drainage surveys identify damage, whilst the subsequent investigation reports, produced to OS20 standards, identify whether it has been caused by accident, subsidence, wear and tear or misuse. We offer a range of services for your drainage needs, from the installation of new foul and storm drains and soakaways, to repairing blocked and collapsed drains. When drains get blocked or stop working as they should, you need the problem solved quickly, efficiently and at a reasonable price. Five Star Drainage Services are specialists in solving drainage blockages and problems in the home or on commercial premises. No matter what the problem is, we have the engineers and equipment to fix it. 5 Star Drainage Services have been working with commercial and domestic customers for over 15 years, providing a service that is second to none.